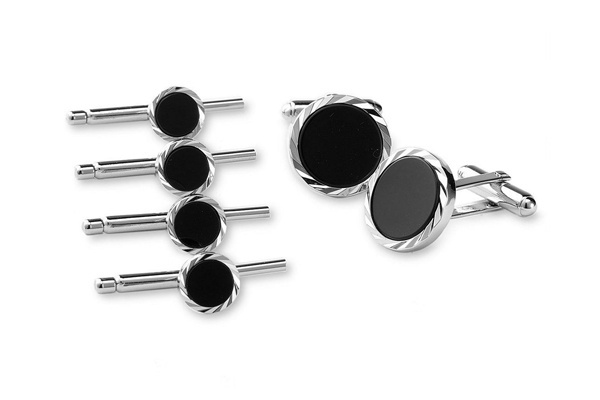 David Donahue gets you ready for that big night out with this cuff link and stud set. Diamond cut sterling silver is set with hinged backs, perfect for that formal shirt you have. Made in the USA, the sets are available in onyx or mother of pearl. Available online now. This entry was posted in Accessories and tagged David Donahue, USA. Bookmark the permalink.